Megan Brashear, CVT, VTS (ECC), talks through how to perform the calculations necessary to create dextrose solutions. 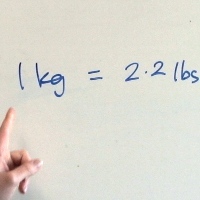 Thanks for an easy formula to use to make quick calculations in the busy ER! I teach students to remove an equal amount of fluid from the bag prior to adding a solution like dextrose to be sure that the percent created is accurate. I also show them the alternative, which is how to calculate the amount of dextrose to add should you wish to not remove fluid prior. Any thoughts? Hi Nikki, yes, when adding a drug to fluid you should remove the equivalent amount to what you are adding. The Constant Rate Infusion Preparation video explains this. Thanks for your comment, good point! Hi all . Say if you have a 2.5% or 5 % solution and you have a patient that needs more dextrose added to the fluids how would you calculate that. % of new solution - % of current solution, then use that number plugged into the equation. 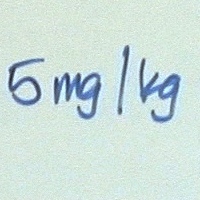 So, if you have a patient with 2.5% dextrose in their fluids (and there are 700ml left) and you are asked to make it 5%, 5-2.5=2.5, so you would go through the equation like this: (700*2.5)/50=35 You would add 35ml of 50% dextrose to your bag (which is already a 2.5% dextrose solution) giving you a 5% dextrose solution. This helps so much!! Can you guys create a video on preparing mannitol? Thanks for bringing this to our attention. This worksheet has been reformatted to help clarify any confusion. The questions now refer to the image directly above them on this worksheet. Let me know if you have any questions!